This is some quotation from Highschool musical 3 : Senior Year which star the Filipino American Vanessa Hudgens as Gabriella Montez. The Basketball team: GETCHA’ HEAD IN THE GAME. Gabriella Montez: I'm a lot better at saying goodbye than you. Troy Bolton: Why are you saying goodbye? Kelsi: [quietly] No ma’am, that was the warning bell. Gabrilla Montez: The Wildcats’ superstar is… afraid? Troy Bolton: No, no, I’m not afraid. I’m just… scared. Sharpay Evans: Hey, Troy when's the big game? Sharpay Evans: Well good luck. Toodles! Chad Danforth: So I guess when they hand us that diploma, we're actually done here. Troy Bolton: What makes you think we're getting diplomas? Coach Jack Bolton: We've dug ourselves a hole, and the only way out is on each other's shoulders. No more X's and O's. Forget the scoreboard. Here's the number that means something... Sixteen minutes left in the game... the season... and for the seniors on this squad... sixteen minutes left in a Wildcats uniform. Troy Bolton: [Troy and Chad have just finished pushing Troy's truck back to his house] I'm saving up for a new fuel pump. Chad Danforth: [aggravated] Huh, save faster! Tiara Gold: It's gonna be a night... to remember! Random student: Yo yo yo, it's lunchtime! Troy Bolton: East High is a place where teachers encouraged us to break the status quo and define ourselves as we choose. Where a jock can cook up a mean crème brulee, and a brainiac can break it down on the dance floor. It's a place where one person, if it's the right person, changes us all. 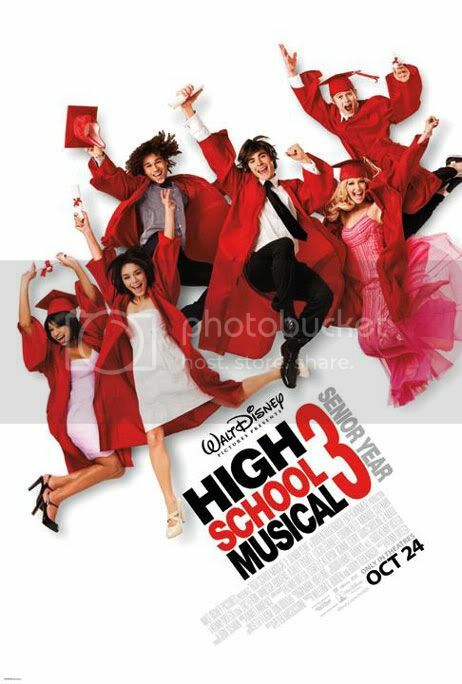 East High is having friends we'll keep for the rest of our lives, and that means we really are 'all in this together'. Once a Wildcat, always a Wildcat ! Troy Bolton: [at graduation] "Once a Wildcat, Always a Wildcat!" Chad Danforth: What are you gonna do if Julliard says yes? Troy Bolton: I don't know. Chad Danforth: That's not what I wanted to hear. Troy Bolton: [singing] The way we play tonight is what we leave behind. It all comes down to right now it's up to us. So what are we gonna be? T-E-A-M Team! Gotta work it out turn in on! Troy Bolton: I've never even heard of Julliard. Ms. Darbus: Well, that may be the case Mr. Bolton, but evidently Julliard has heard of you. Troy Bolton: My prom is wherever you are. Taylor McKessie: Oh honey. If that's what you call an invitation, you'll be dancing with yourself. Troy Bolton: [singing] This is the last time to get it right. This is the last chance to make it all night. We gotta show what we're all about, work together. This is the last chance to make our mark. History will know who we are. This is the last game so make it count. It's now or never. Gabrilla Montez: [about singing previously] Well, you sound like you’ve done a lot of singing, too. Troy Bolton: Yeah, my showerhead is very impressed. Ms. Darbus: Well, looks like us wildcats are in for an interesting afternoon. Sharpay: So Troy when’s the big game? Sharpay: You are so dedicated, just like me.